The mastermind behind the original Matt's in the Market now turns his global eye to meat—notably pork, the Chinook meaning of the restaurant's name—and serves it with trademark effervescence in a swish, sophisticated, window-lined perch on the Harbor Steps. It's crowded lunch, happy hour (which begins, reasonably, at 3pm), and dinner till late, burbling with as much energy as the gleefully anarchic menu, which caroms across cuisines from a delectable Catalan-style sofrito fish soup, to a house-brined pork chop with roasted beets and a sweet-sour agrodolce sauce, to a starter of chickpeas and tender char-grilled octopus bits roaring with Mama Lil's hot peppers and salsa brava. 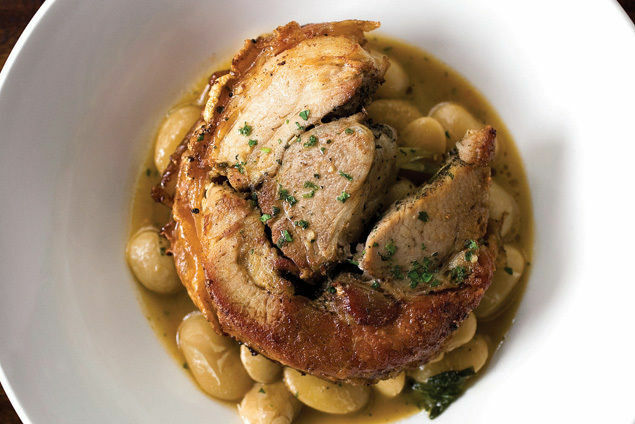 An unctuous ode to pork belly, Lecosho porchetta, was a classic the day the place opened. All that yum plus careful, humane service adds up to a place a person could happily lose great chunks of her life. 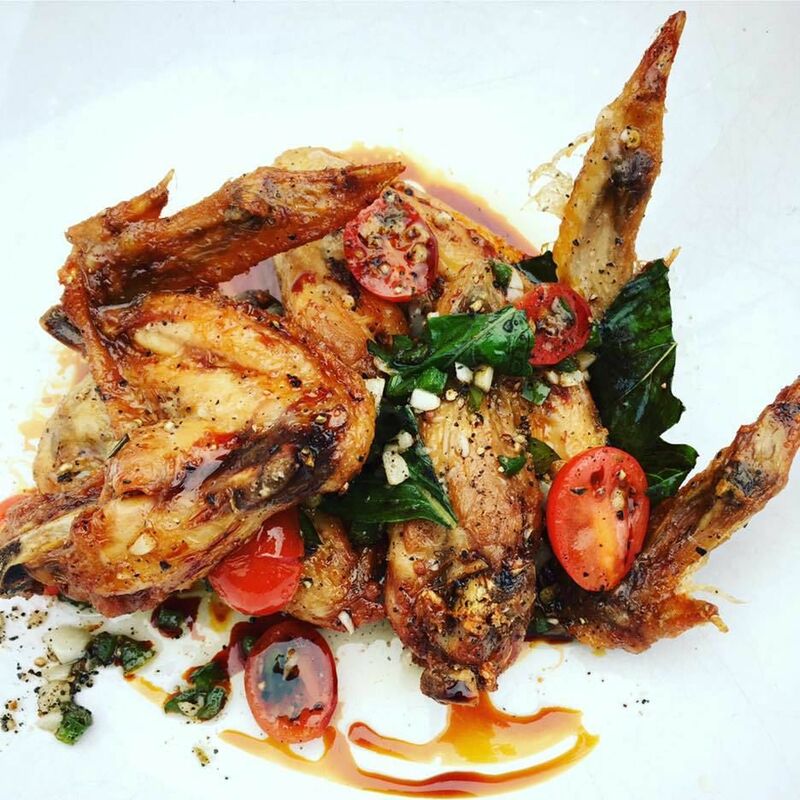 Read our restaurant review of Lecosho. Starts Sunday, people. Make your plans. 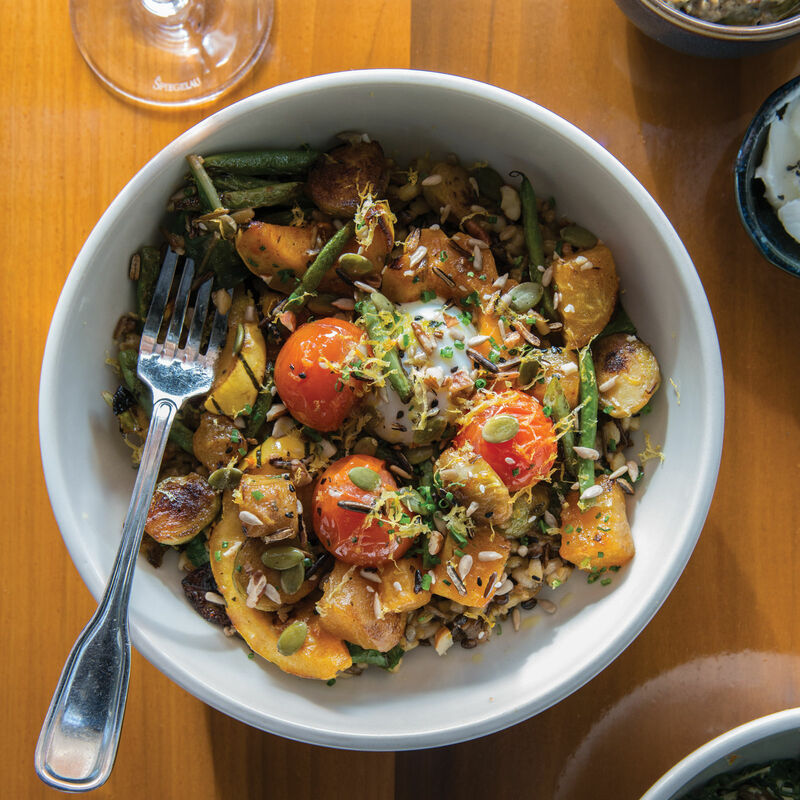 The Fremont newcomer lets its freekeh flag fly.